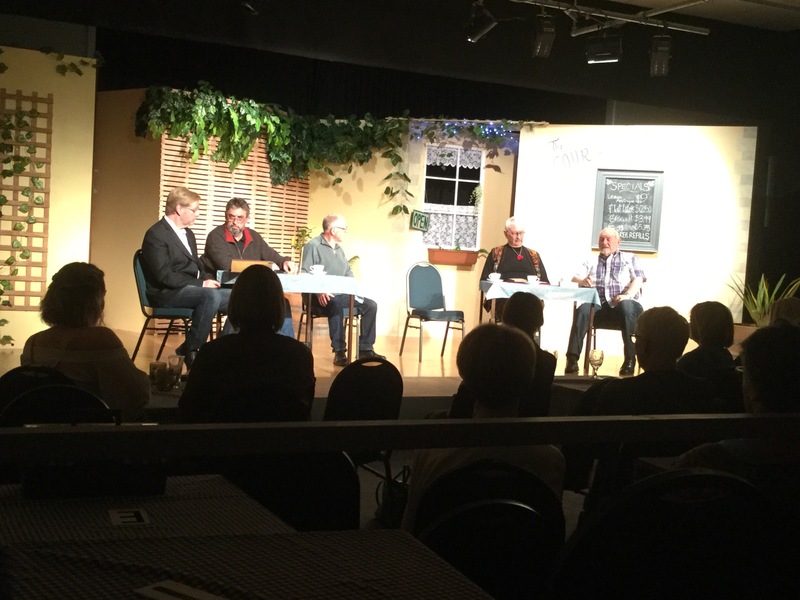 Last night I sat listening to the audience of a packed community theatre. People laughed at the jokes, but to themselves. Then we had the intermission, with tea and chocolate biscuits. This audience stood around chatting, and sharing a snack, becoming a community. In the second half the laughter was full force, out loud and happy. Why the change? Well, before the intermission, the audience was a group of people. Afterwards, they were a group with a shared experience, and they had seen who they were with. Even just this 15 minute period to be together, allowed them to be free to laugh out loud. In my mind, this is why community theatre matters. A group coming together to put on a play. Another group working to make this happen both backstage and boiling the kettle. And then the group coming in to watch the show. It’s not just a time for middle aged women to live out their theatre dreams (As I was once told), but a time and a place to bring people together. We don’t get many opportunities to see those around us shining, but community theatre gives us this. We also get a chance to express creatively, develop confidence and leadership skills, learn something new, make new friends, give of ourselves, and give back. Whatever the reviewer thinks, the show is already a success. When diverse people come together to laugh, the world is changed.